A collection of covers and originals that are as remarkable and unique as anything else Wilson has done. When a performer releases a collection of covers, it sometimes (but not always) symbolizes a lack of creativity and vigor. Having spent X amount of years producing original stuff, he or she is burnt out mentally and decides that the easiest way to produce something “new” is to do a quick one off of other people’s music. 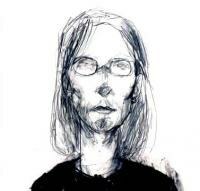 Fortunately, Steven Wilson (once again) proves to be an exception to the norm with his newest compilation, Cover Version. A gathering of new material and external reinterpretations from the last decade or so, it’s yet another breathtaking work in an already magnificent catalogue. Wilson clearly has a lot of admiration for these pieces, as he approaches them with plenty of love, attention to detail, and imagination. If you’re familiar with Wilson (and you probably are since you’re reading this), you know that he’s one of the strongest, most prolific and multifaceted songwriters and producers of the last couple decades. Having crafted many wonderful songs as both a solo artist and a member of other bands (including Porcupine Tree, Blackfield, and no-man), his vision seems limitless. However, he’s also quite versed in helping other musicians, such as Opeth and Anathema, finely tune their output, so he’s no stranger to putting his own spin on outside compositions. It comes as no surprise, then, that his take on these songs is confident, unique, and quintessentially Wilson in tone and atmosphere. Expectedly, the five original songs are also fantastic. Perhaps the most interesting thing about Cover Version is Wilson’s choice of exterior selections. A lot people unfairly pigeonhole him into being just a progressive rock virtuoso, so they may assume that his influences and favorite albums must come from the same genre. He proves this theory wrong, though, by putting his spin on songs by Alanis Morrisette, ABBA, Prince, The Cure, Momus, and even Donovan. In addition, the set spans 2003 – 2010, so it’s intriguing to hear how he grows artistically from the first track to the last. Cover Version begins with a simple yet poignant and beautiful spin on Morrisette’s “Thank You.” Wilson strums his acoustic guitar patiently as he sings the verses with the same fragility that made masterpieces like “Stop Swimming” and "Heartattack in a Layby"
so devastating. His take exudes exceptional passion during the chorus too, and his falsetto harmonies, as well as the subtle orchestration, make the second half especially touching. ABBA’s “The Day before You Came” receives a similar treatment, although it’s a little more layered and forceful. Grippingly, his take on The Cure’s “A Forest” is quite industrial, malevolent, and sparse, with eerie loops throughout. If you’re familiar with “Index” from Grace for Drowning, you’ll have an idea of what he does with it. As for Prince’s “Sign O’ the Times”, it’s full of distortion and angst, with a funky electronic rhythm and stabs of electric guitar that evoke what Jonny Greenwood did on Radiohead’s “Creep". Also, Wilson's take on the timeless English folk song “The Unquiet Grave” (which has also been covered by Ween, Faith & the Muse, Steeleye Span, Elliot Morris, Gryphon, and Joan Baez, among others) is easily the most haunting and abstract inclusion. It consists mostly of ghostly harmonies and children’s voices, alongside some poetically phrased lamentations. It immediately envelopes listeners in stunning dread and never lets up. Naturally, his own contributions are equally charming and commanding. “Moment I Lost” is a straightforward piano ballad with acoustic guitar and orchestral accompaniment. As with a lot of his work, it begins quietly and then swells into a luscious and pained soundscape that stays with you. Melodically, it’s modest but masterful, as is “Please Come Home”. A catchier and more upbeat (though still melancholic in subject matter) offering, it demonstrates Wilson’s resilient vocal range and tasteful guitar playing. “Four Trees Down”, on the other hand, is more nuanced and otherworldly, with a nice balance between its arpeggios and percussive elements. It sounds like a lost track from The Raven that Refused to Sing, actually. The last two tracks are also superb. The first, “Well You’re Wrong”, is also poppy on the surface and sorrowful underneath, with Wilson’s falsetto stretching farther than ever. It’s a bold attempt, but luckily it works well with the surrounding timbres. On the other hand, the concluding track, “An End to End”, is possibly the most heartbreaking and powerful one here. Wilson truly has a skill for causing a lot of emotional destruction with fairly unassuming arrangements, and this track is no different, as it consists mainly of only a few chords and a very gentle melody. The trick is that he delivers his words with crushing sincerity and weakness; we can almost hear him weep as he sings, and the way he coats its core with delicate effects makes it very intense and profound. Like the title track to Raven, it expresses a sense of loss and yearning that any listener can relate to. It’s brilliant. As with the majority Wilson’s releases, Cover Version offers unmatched songwriting, positioning, and texturing (and I mean that as an attentive listener, not a biased devotee). Be it his variation on a classic tune or something solely his, Wilson creates one remarkable experience after another on this collection. The most impressive part of all is how well he makes widely unalike pieces sound like siblings to his own makings, so everything fits together seamlessly whether or not Wilson wrote it. Once again he exceeds expectation and delivers something priceless, and one can only hope that there’s a follow-up on the horizon.